The blunt-nosed leopard lizard is only found in California's San Joaquin Valley. As its name suggests, this lizard is identifiable by its very short snout. Adult males grow up to 4.7 inches long and females grow up to 4.4 inches long. The males weigh up to 1.5 ounces and the females 1.2 ounces. Like most large lizards, they have long and powerful tails and feet. Their skin color varies according to the vegetation that they eat and the type of soil in their habitat, ranging from yellowish or light brown to dark brown. Their backs are covered with dark spots and are also marked with light-color bands, and their underparts are white. The blunt-nosed leopard lizard seems to prefer open and sparsely vegetated valleys and foothills for its habitat. They are known to occupy burrows abandoned by small rodents, using them for shelter from predators and for keeping cool from the hot weather. In areas where burrows are not available, the lizards are able to construct tunnels in earth berms or under rocks, and young lizards may use shrubs and rocks for cover if needed. Diet consists of insects such as grasshoppers and crickets and smaller lizards. Mating occurs from the end of April to June and the females lays from two to six eggs. The mother incubates the eggs for about two months, and they hatch in July or August. 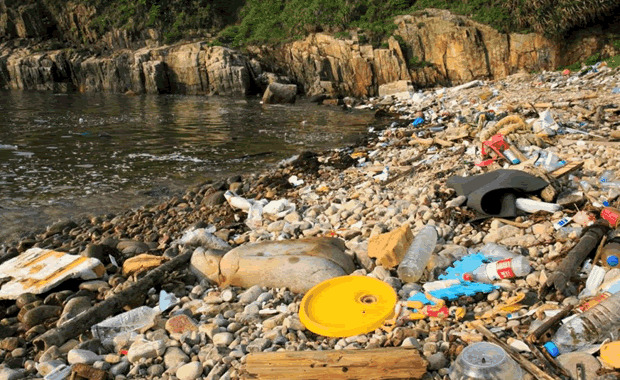 The main threat to the species is habitat disturbance and destruction. Nearly all of its formal habitat has been reduced due to agriculture development. 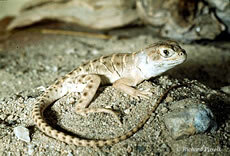 The species was listed as endangered in 1971 and a recovery plan was developed in 1998 for the blunt-nosed leopard lizard and other threatened species in the area. Copyright Notice: This article is licensed under the GNU Free Documentation License. It uses material from the Wikipedia article "Gambelia sila". Glenn, C. R. 2006. "Earth's Endangered Creatures - Blunt-nosed Leopard Lizard Facts" (Online). Accessed 4/21/2019 at http://earthsendangered.com/profile.asp?sp=694&ID=9. Need more Blunt-nosed Leopard Lizard facts?